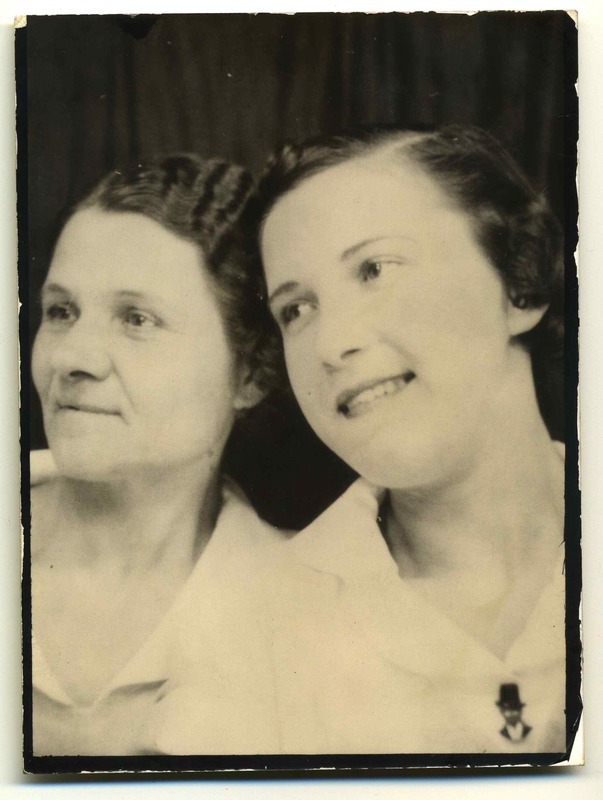 One of the things I love about collecting photobooth photos, is the myriad possibilities that arise for discovering new and fun things. 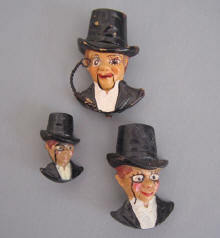 This image shows a woman wearing a badge that, a quick online search has confirmed, represents the face of a very famous wooden dummy. 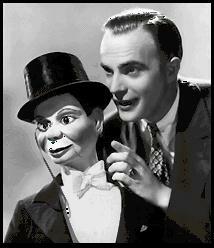 Edgar John Bergen was an American actor and radio performer, best known as a ventriloquist. At the peak of his fame he was probably the best known practitioner of his craft in the world. His success was undoubtedly the result of a partnership with a character he created, with the help of a carved block of pine, named Charlie McCarthy. This character was so endearing and believable that the pair conquered vaudeville, movies and the airwaves across America from the 1930s to the 1960s. Badges similar to the one worn above. Your wonderful poetic prose really brings this photo to life. You are right, it is like a mirrored time machine image and is fascinating and fun.